ORock Technologies has received a Federal Risk and Authorization Management Program certification for its Red Hat OpenStack-based cloud platform. A Defense Department agency granted the FedRAMP authorization to operate to ORockCloud at the moderate impact level for hybrid cloud deployments and Platform-as-a-Service and Infrastructure-as-a-Service models, ORock said Tuesday. “The ORockCloud brings to market the realization of Red Hat’s vision for the future of cloud computing — a secure open hybrid cloud offering. We applaud ORock for their vision and and achievement by obtaining these crucial security certifications to support the public sector marketspace clients,” Paul Smith, senior vice president and general manager of Red Hat Public Sector, told GovConDaily Wednesday. Smith is a two-time consecutive Wash100 winner. “ORock has built a different model with a pure-play Red Hat cloud, a private fiber optic network, and baseline pricing for predictable billing and lower cost of ownership. 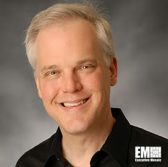 Their FedRAMP authorization and small business status will be attractive to many government customers who want alternative options for cloud services,” Smith added. ORockCloud is built on a private fiber optic network and works to provide users on-demand access to storage, computing, performance monitoring, networking, virtualization and applications through the company’s service catalog. The cloud platform also features Red Hat’s open-source tools for security functionalities and control such as Red Hat Enterprise Linux, Red Hat Ceph Storage and Red Hat Virtualization. 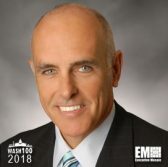 “As federal agencies move to the cloud, many are opting for hybrid cloud environments that can offer the flexibility and scalability they are seeking with greater security,” said David Egts, chief technologist for Red Hat Public Sector, in a statement. Egts added the FedRAMP certification seeks to reflect ORockCloud’s capability to meet government and private sector clients’ security requirements.